Should we be clever and successful OR live by your core values? 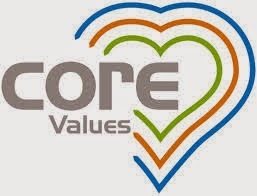 Can we be successful without living by our core values? One of my close friends started discussing a very interesting topic on Linked In. And i thought, this is a very relevant topic for everyone in life. To be successful in many of our professional goals, there is a common belief that we ought to learn the tricks of the trade, we ought to be clever and smart, we ought to be bluffing and playing with our values, at least sometimes, to reach our destination. As this discussion thread was initiated, there are a few point of views i had for him, and i thought these might be worthwhile for all of us so that happiness can flow unlimited and unhindered in your life. Happiness is the ultimate and only end goal of all your endeavors in life. Goals, achievements, milestones, success - will all give us temporary happiness, but the process of achievement of goals is what gives us lasting happiness. And if the process itself is not aligned to our core values, there is no way we can experience lasting happiness. What if i follow the core values and miss my goals just because of that? So what if you missed your goal. So what if you did not come out no. 1 and came out no. 2, but you followed your core values of love, honesty, happiness, respect, integrity, service and caring. There is absolutely nothing wrong being no. 2. At the end of the life, number 2 is just another number. My friend obviously commented that this would mean we would not be that famous. Who remembers no. 2? Everyone remembers only no. 1. Do you know the second person who climbed Mount Everest or who landed on the moon? The answer is No. But here is the point. The question you need to ask yourself is that whether you want to be popular in someone else's eyes or in your own eyes. What gives you more satisfaction and happiness? Living by your core values makes sure that you hold your head high in your own eyes and in the eyes of people who matter the most to you. And success comes with that experience of bliss that comes with a life filled with core values, and resulting happiness experienced by the soul and shared with other souls. Need help in understanding how life can be happy even if we miss goals?